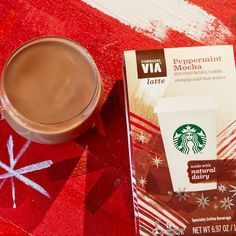 Red Cups are now back at Starbucks, but you can always make your own holiday brew at home and save a little money in the process. Save even more with Chuze and these coffee lovers coupons from Starbucks, MARS candy and more. The following coupons are now available in our free Chuze app, just click on the Coffee Bundle on the home screen to add these deals to your shopping list and print out your coffee break savings. We especially love the convenience of Starbucks Via packets for travel. Enjoy!